The best thing to give myself is self-respect. (According to Benjamin Franklin) Close second - a trip to Aveda Institute for some pampering (According to Me)! This week I got spoiled at the Aveda Institute in Provo! I got a cut, blow and style! AND I got a 90-minute facial. I loved it! The haircut: Courtney was my stylist and she was so cute! 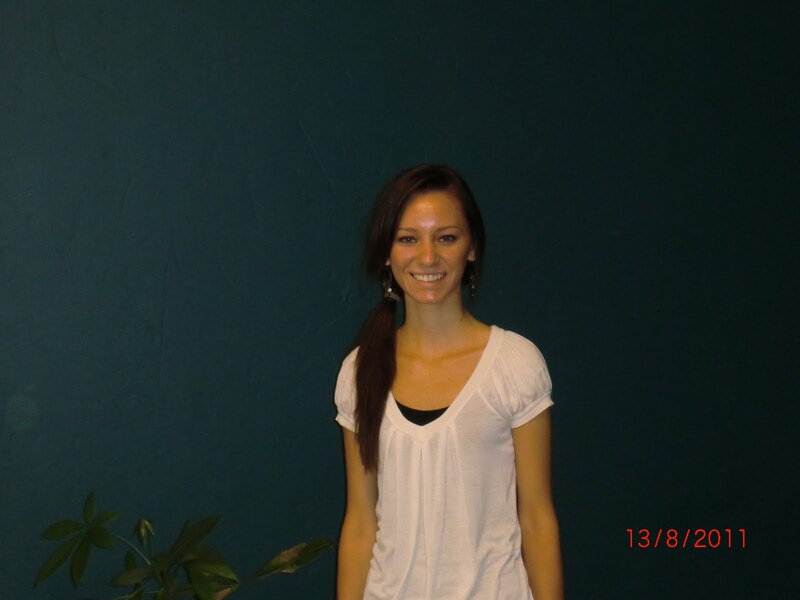 She is a senior at Aveda Institute and will be graduating with the required 1200 hours in January. She knows her stuff! After I got my complimentary cup of Aveda comforting tea, a 100% organic, no caffeine, herbal tea, we headed into the salon. With every cut at the Aveda Salon a scalp massage with a sensory journey is included. This means that you get to choose one of several hand-selected natural oil fragrances for your scalp before you shampoo. It is wonderful! I picked vanilla. Courtney asked me what I wanted to do with my hair and how I would describe my hair. She gave me her own product recommendations based on the Aveda line. We decided that I should use a lot of the Brilliance Line because I have thick, frizzy, dry hair. (It's a nightmare, actually) The Brilliance Line is designed for all of those features. Also the Dry Remedy Line is for extremely dry hair. 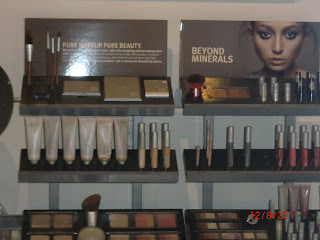 I love all of their products because they use as many natural ingredients as possible and that is very important to me. Almost all of them are 100% certified organic! She brought an instructor to OK the selection she had made for me and we got started. First we went back to get shampooed The shampoo room is beautiful. They have massage chairs you can relax in while you watch beautiful nature scenes on their big screens. And you get even more scalp massaging with the wash. I almost fell asleep during that time! Next came the cut and the style. She was great at what she does and at the end, there was an instructor making sure that everything was done right. I loved the way my hair looked and felt after the session. It took about an hour and a half. 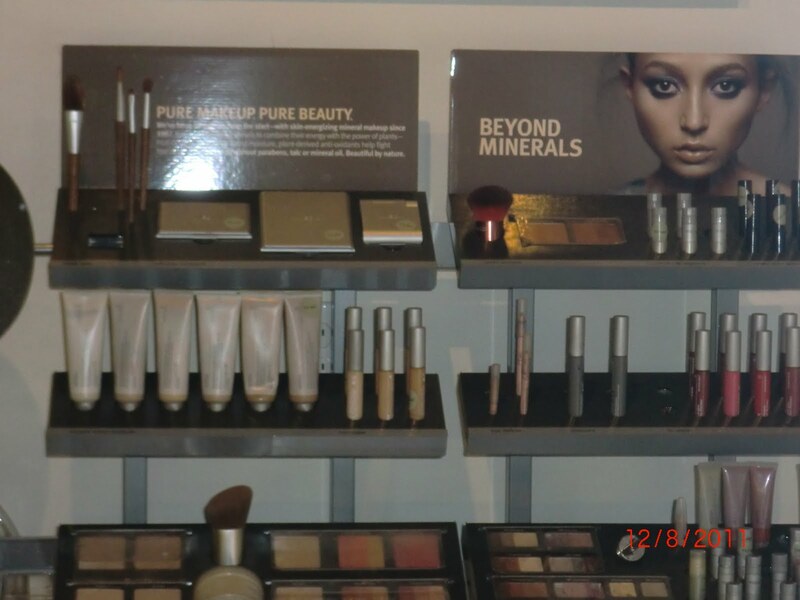 The Facial: This was a first for me at Aveda. Kaylynn, my esthetician, took me back to the quiet facial rooms. Here again, I was first introduced to a sensory experience and given my choice of 3 oils. This time I chose lavender because I wanted to relax! Kaylynn took me through the facial experience by asking me what I was concerned about for my skin and would like to see in a facial. I thought that I'd like to have an anti-aging experience, since my summer hasn't been very relaxing and I feel like I have aged about 10 years so far this summer, with my son graduating from college and my 14 year old being a crazed adolescent. Kaylynn introduced me to the Green Science line, which is for anti-aging concerns. And so to classical music, I received a foot soak, foot massage, 5 facial treatments (cleanse, tone, treatment, eye treatment, and moisturizer), scalp massage, neck massage, decolletage treatment and hand massage. It was wonderful and when I was done, I saw a visible difference in my skin! I felt really relaxed as well! Thanks so much Kaylynn! Aveda Institute Provo is located on 1700 S. State Street, Provo, UT 84604. For services call 801-375-1501. If you are interested in becoming a student at Aveda, and being part of one of the top 200 salons in the country, give Tiffany in Admissions a call at 801-448-2683. They are accepting new applicants! GIVEAWAY: If you live in or near the Provo, UT area, you can win the same pampering spa package I had from Aveda Institute Provo! ($60 ARV) Trust me, it's a good one! Mandatory Entry: Check out the Aveda Corporate site and pick out a product that you'd love to try and come back and tell me what it is! (+1 each) Like @AvedaProvo and @Xocaisgood on Twitter! 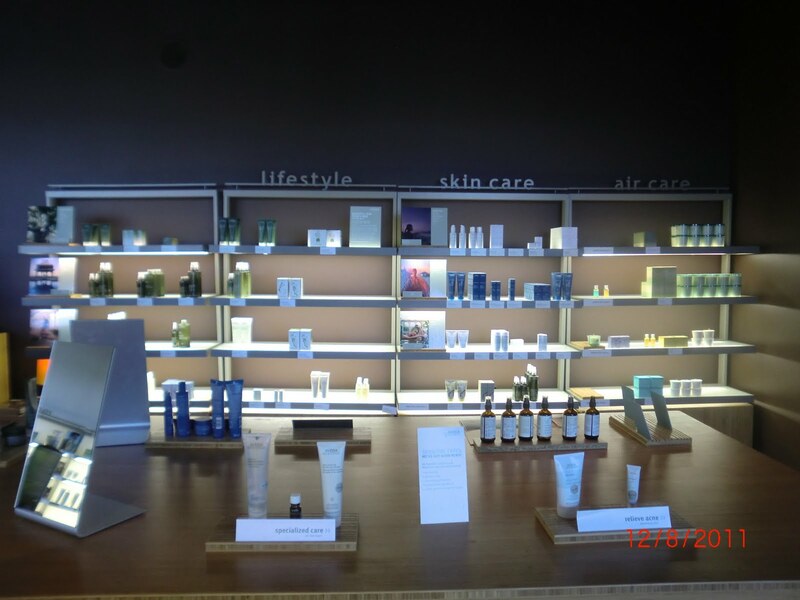 (+2) Visit Aveda Institute Provo and tell me about a service you'd love to try! (+2) Visit Aveda on YouTube and like a video. Tell me which video you watched. (+2) Follow @evmiller on Twitter and tweet "@evemiller Aveda rocks-- @Xocaisgood sent me to say hello and give you a follow" Leave me the tweet link and your Twitter name! 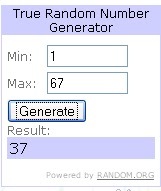 (+5) e-mail 5 friends about this giveaway! Make sure you CC me at helenalemon@comcast.net! (+1) daily - Tweet this: "Get pampered with a pamper-me package @AvedaProvo ($60 ARV) @Xocaisgood #provo #orem #americanfork #heber http://bit.ly/p64xlf"
(+2) Blog, Facebook, Stumble, Digg or list this giveaway post on a giveaway linky. Let me know the link where you do! Do as many as you want! 2 entries each! (+2) Click the +1 icon on the bottom of this post for Google +1! This giveaway will run through August 31, 2011 at 11:59 pm at which time a winner will be chosen with random.org and notified with e-mail. Winner will be given 48 hours to respond. Open to Utah residents only. 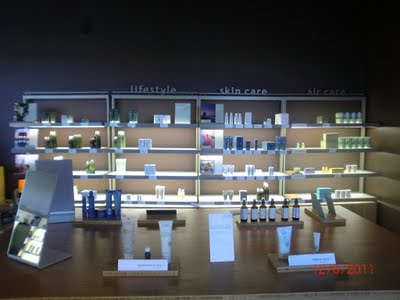 Thanks to Aveda Institute Provo for providing services for review and giveaway! Special Thanks to Brittany Sharp for facilitating this giveaway and for all the great students and professionals at Aveda Institute Provo! Ooooh! I would like the Hair Masque. Following @AvedaProvo on twitter as @ArtsyChaos. I'm a follower of @xocaisgood as @ArtsyChaos. #1 I would LOVE to get foil highlights along with cut and style. I haven't been able to go to the salon in a long time! #2 I would LOVE to get foil highlights along with cut and style. I haven't been able to go to the salon in a long time! I want to try the curl enhancer. I'd like to try the Damage Remedy Intensive Restructuring Treatment. I'd like to try the Tourmaline Charged Hydrating Creme. I'd like to try the Botanical Hair & Scalp Therapy! I watched the Styling Essentials Class with Ken YouTube video. I would love to try the Caribbean TherapyTM Soy Wax Candle! I would like to try the curl enhancer.